I haven't reviewed many restaurant products in the last year. I tend to only write those up if a product is really great or exceptionally bad. I felt I had to tell you about this omelette because it is... really great! 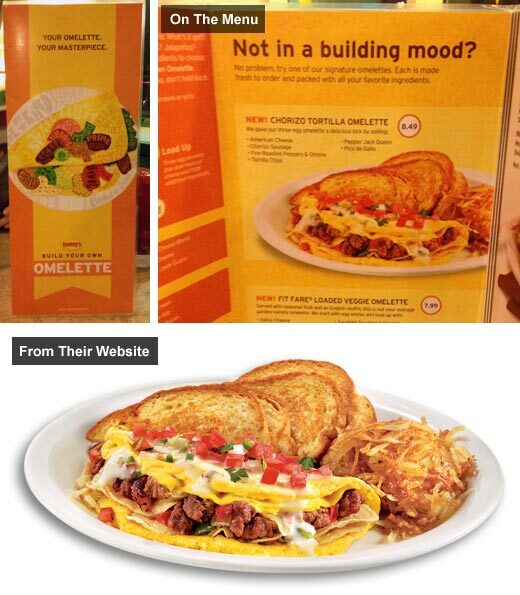 Denny's is currently touting it's "Build Your Own Omelette" menu. They have so many items to choose from that it can be a little overwhelming. My head was spinning from matching countless flavors in my head. Luckily, I happened to glance at a part of the menu that said, "Not in a building mood? No problem. 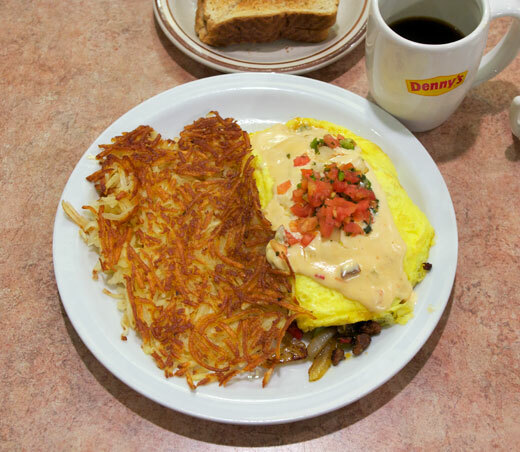 Try one of our signature omelets." I was drawn to the Chorizo Tortilla Omelette because the idea of tortilla chips in an omelette seemed like a fun novelty. After trying it, I can say that that aspect really works. You might think that the chips would feel out of place, but the added crunch and corn tortilla flavor really fit well. I'm inspired to crumble some tortilla chips as a garnish for my next homemade omelette. The chorizo was excellent. I'm used to fairly greasy chorizo from both restaurants and home cooking. The meat here wasn't greasy at all. 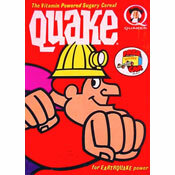 It had all the flavor of good chorizo, but the texture was more like regular crumbled breakfast sausage. The Pepper Jack Queso sauce was muy bueno. I could imagine that it'd be great on everything from eggs to hamburgers and anything in between. It's definitely spicy, so be beware if you're sensitive to heat. 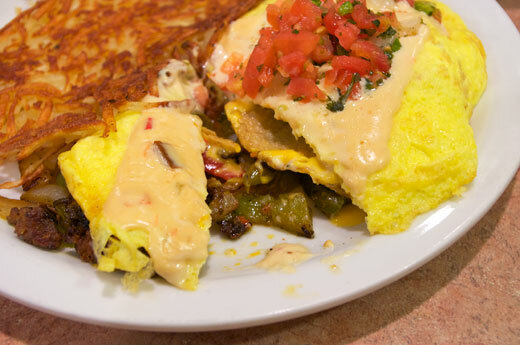 A little bit of fresh Pico de Gallo tops off the omelette and that fresh flavor helps bring all the other flavors together. It's adds a certain brightness to an otherwise heavy dish. 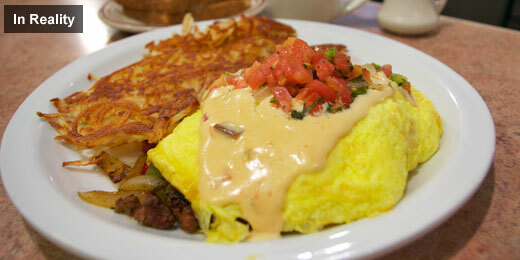 The omelette also has fire-roasted peppers and onions and some American cheese inside. It's a Mexican-American flavor fiesta. This is one of the rare product reviews I've done where the actual product looks just as good (maybe better) as the pictures they use to advertise it. *Hours later, that smile turned to a grimace as I went to the gym to burn off the 1,160 calories I'd eaten. Then, I though about the taste of my omelette and I smiled again. Lastly, I'd like to give a shout-out to our waitress Maria S. at the Denny's in Burbank, CA. Nothing makes an omelette taste better than excellent service. Except maybe that cheese sauce. I really liked that a lot. 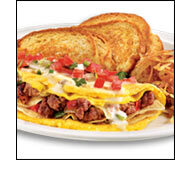 What do you think of Denny's Chorizo Tortilla Omelette? Can't wait to try it. Looks great.